Based off his summer camp experience at age 13, Adam breaks down ingredients of Collaboration that inspired him over the years to create LATE NITE ART™. He encourages us to invite more people into our lives, stretch out of our comfort zones and allow for real magic to happen! Video shot by Christie Goshe, Jess Jones, and Nathaniel Kohfield, edited by Nathaniel Kohfield. 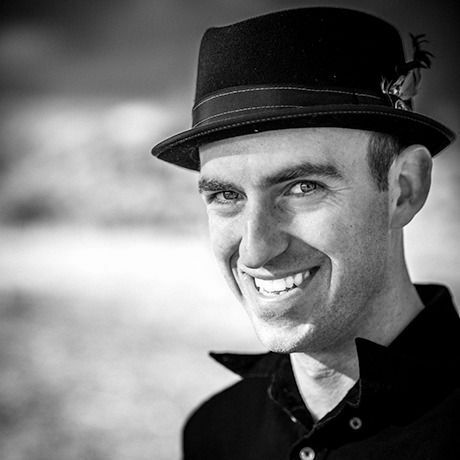 Adam is a DJ, facilitator, and live experience designer. He also is the Co-Founder and CEO of LATE NITE ART™, an international social enterprise that uses collaborative art-making, cool beats, gourmet food, and provocative conversations to unleash creativity and shift the culture of communities, groups, and teams. Over the last 3 years, Adam has hosted his social art parties and workshops in 4 countries, with over 3,000 people, from federal probation officers and cancer patients, to corporate executives and 12 year-olds. Adam firmly believes that engaging the imagination is the key to changing our culture. He was born in his living room in the Berkeley Hills, and currently resides in Oakland, CA.